This stop is a jumping off point for walking to other tour stops. 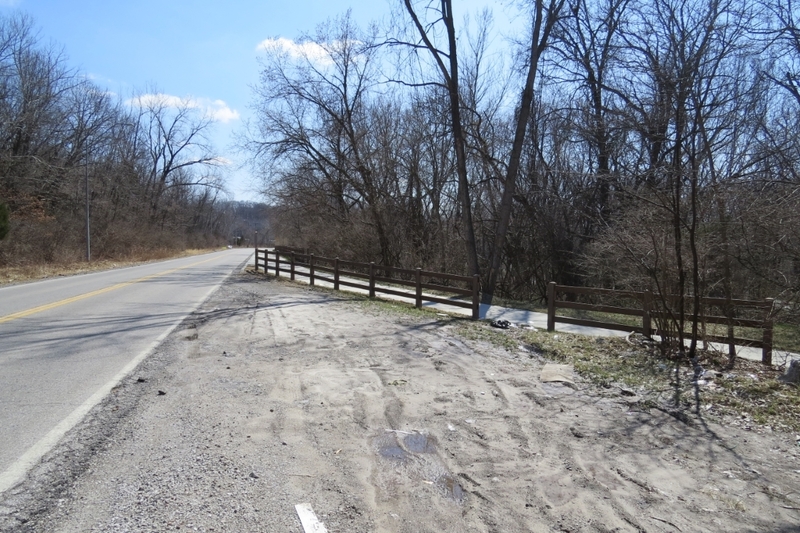 In total this part of the tour is about a 1.3 miles hike of moderate difficulty over uneven ground, although about 0.5 miles follows the concrete pavement of the Blue River Trail. You will experience a total change in elevation of about 320 feet (uphill and downhill combined), although not all at once. Blue River Trail near tour stop. 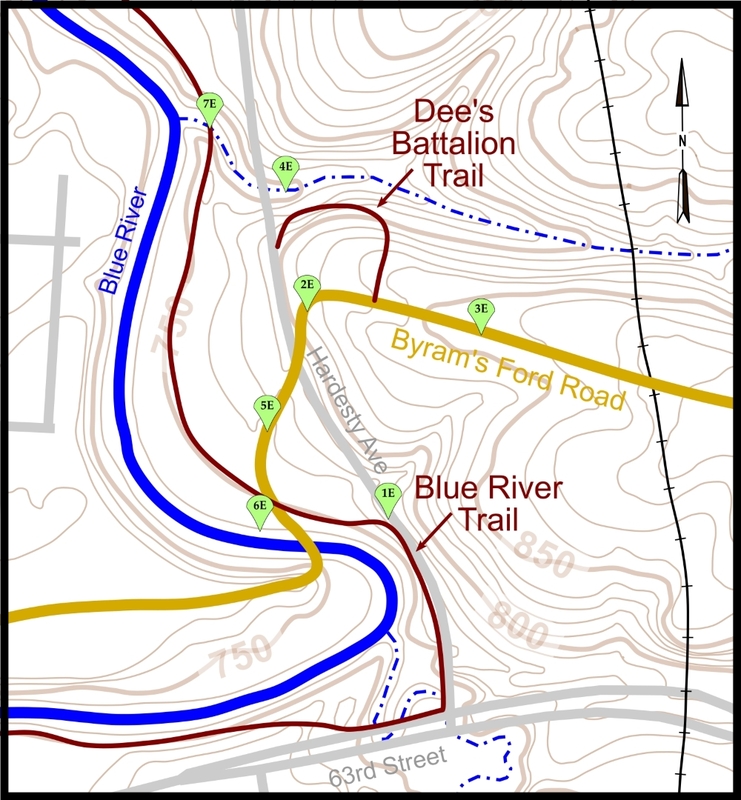 Map of Big Blue Battlefield, East showing walking tour stops and trails. Click on thumbnail to load high resolution version of map.